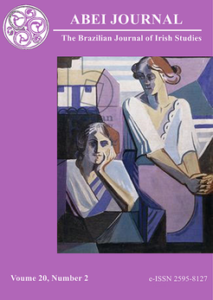 It is a pleasure to inform you of the recent publication of the special issue “Contemplating Feminism(s): Women Writers and Women Critics”, co-edited by Mariana Bolfarine y Marisol Morales-Ladrón (in ABEI Journal: The Brazilian Journal of Irish Studies, vol. 20, number 2). Special issue with contributions by some AEDEI members.